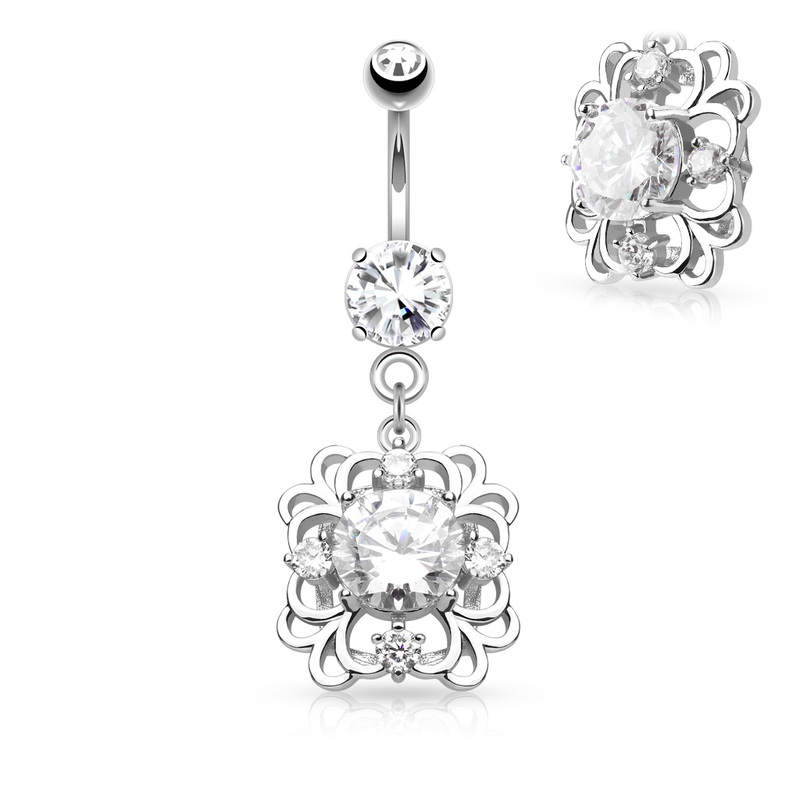 The ornate filigree dangle features four small clear stones and a larger centre jewel. These belly button bars have a 10mm (3/8") 316L surgical steel shaft. Powered by ShopFactory to sell P12652 online. All-in one eCommerce and online shopping cart software.